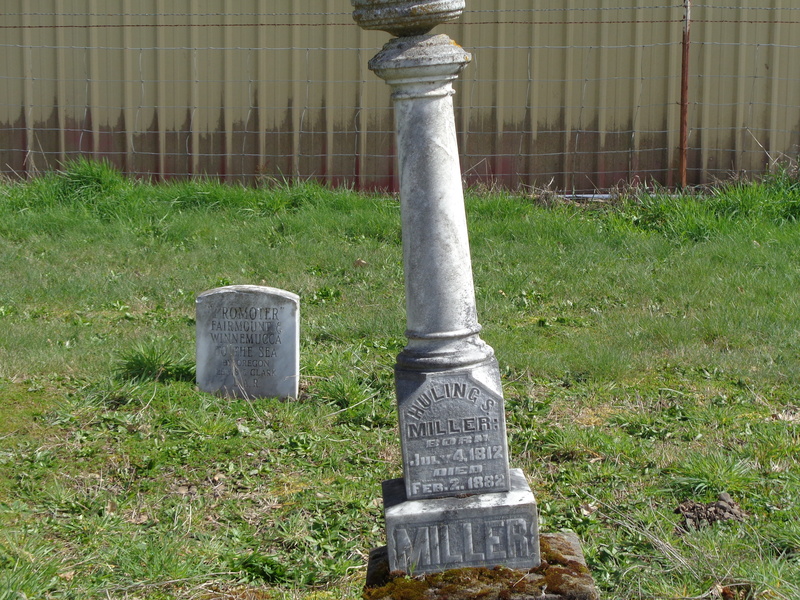 George Melvin Miller was titled ‘The Prophet of Lane County’. Lane County was named after Joseph Lane who ran with John Breckenridge for the White House. John is my kindred via John Preston who is kin to Jessie Benton Fremont who authored her husband’s journal about his expedition into the Oregon Territory. Joseph wrote a letter to Rose O’Neal, a Confederate spy. It is alleged Joseph helped Joaquin Miller become the editor of the Eugene City Democratic Register, a pro-slavery newspaper. However, there is no proof of this, or, Miller was for the Confederacy. Quite the contrary. 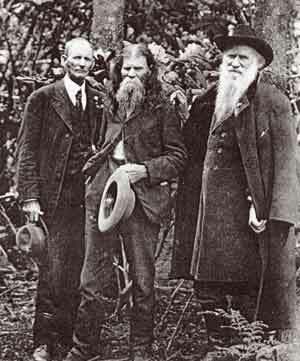 Joaquin Miller worshipped the ‘Pathfinder’ who was the first Presidential candidate nominated by the Republican Abolitionist Party. Miller made a folly to Fremont on his property in the Oakland Hills above where my great grandfather, William Stuttmeister, had a farm. William built about forty homes in Fruit Vale, a city that was later incorporated into Oakland. This rock monument supposedly marks the spot where Fremont first got a glimpse of the Golden Gate. Joaquin wrote a book called ‘City Beautiful’ and appears to be part of that movement. I suspect his brother George was also, because he lay out the plan for two town, Florence, and Fairmount. 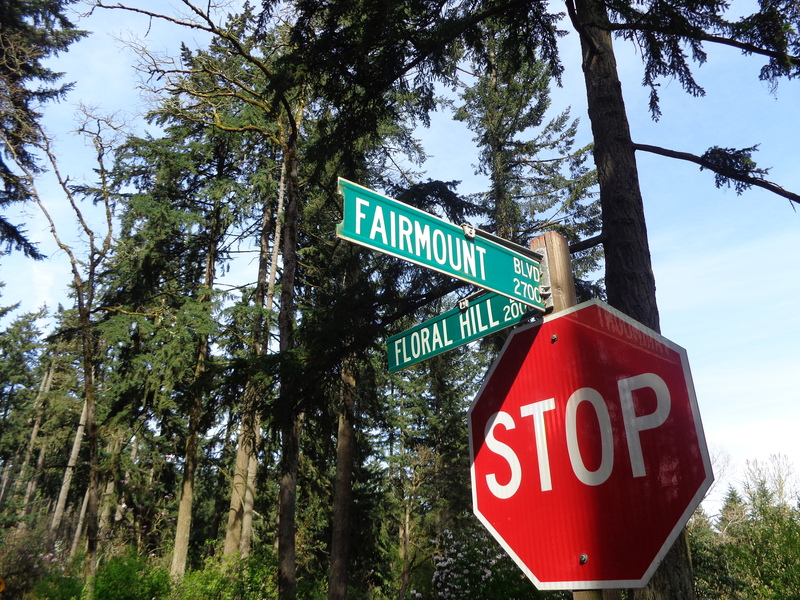 Fairmount was in the hills above Eugene between 27th. Ave, and the Willamette. The Mathew Knight Arena is built upon land that once belonged to George. Was George inspired by his visits to ‘The Hights’ as Joaquin called his Mecca for California Artists and Poets? 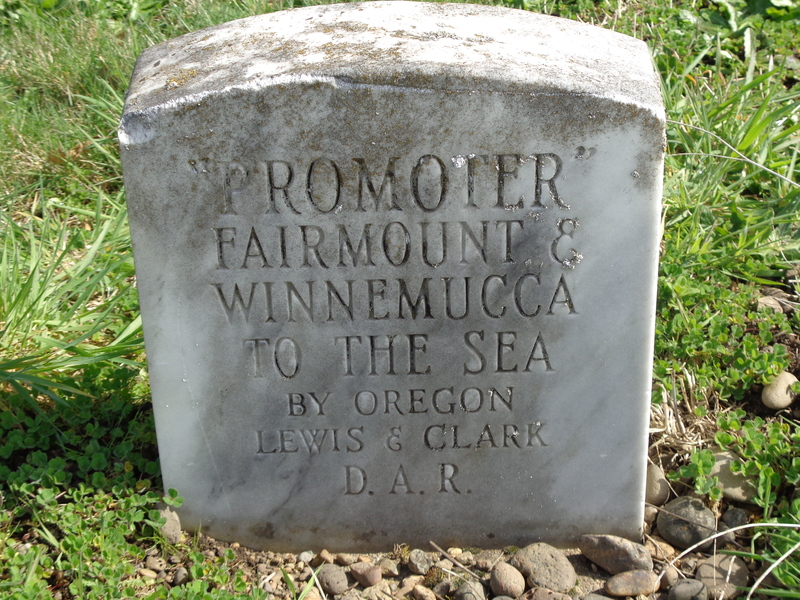 What does this mean “Winnemucca to the sea”? In my novel I write about my 1950 Dodge breaking down in this desert town located on Route 66. When I got home and on my computer, I read about the building of a from the desert to the sea. But, instead of going to Florence as George Miller intended, this road ended up in Crescent City. The Promoter’s dream, had missed the mark. He died not knowing – they almost got it right! Folks who believed in George’s dream tried to get a marker honoring him on the Siuslaw River Bridge that Miller also promoted – while he was alive! Miller objected, and I assume left instructions to not include his name on his marker – just his two dreams! If you don’t know a man’s dream, then, you don’t know the man! Later, someone placed a marker at George’s feet. I planted two Petunias by the Miller markers. 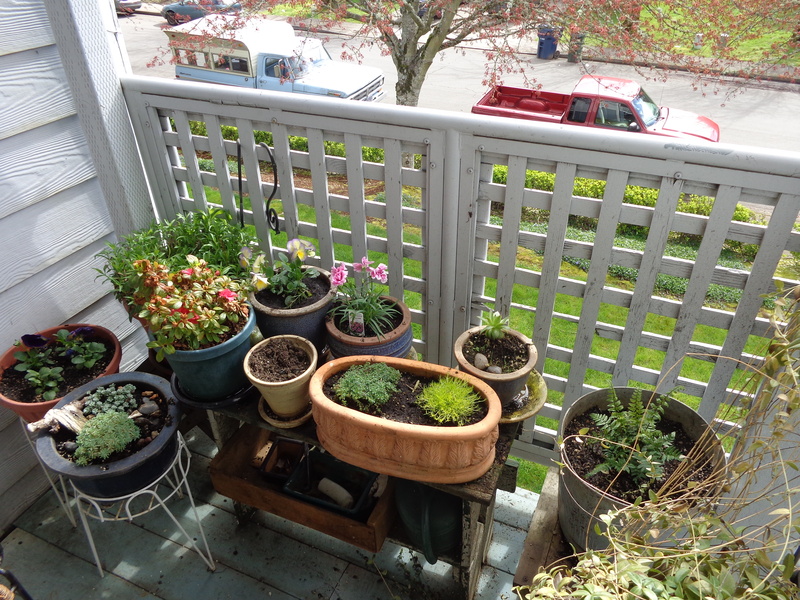 I had traded some items at Isabella’s Garden in Brownsville for seven plants. I saluted George’s Dream that I compared to Fremont’s. Here lie the unsung ‘Pathfinder’ who likened himself to Lewis and Clark. I had meant to declare myself a Newspaper Man, but, remembered when I came upon a fire in the town of Coburg. It was deliberately set by the fire department. I was in shock to see this beautiful Victorian going up in smoke. I talked to two fire fighters about why the town did not save it. They told me they tried, but, no one wanted it. 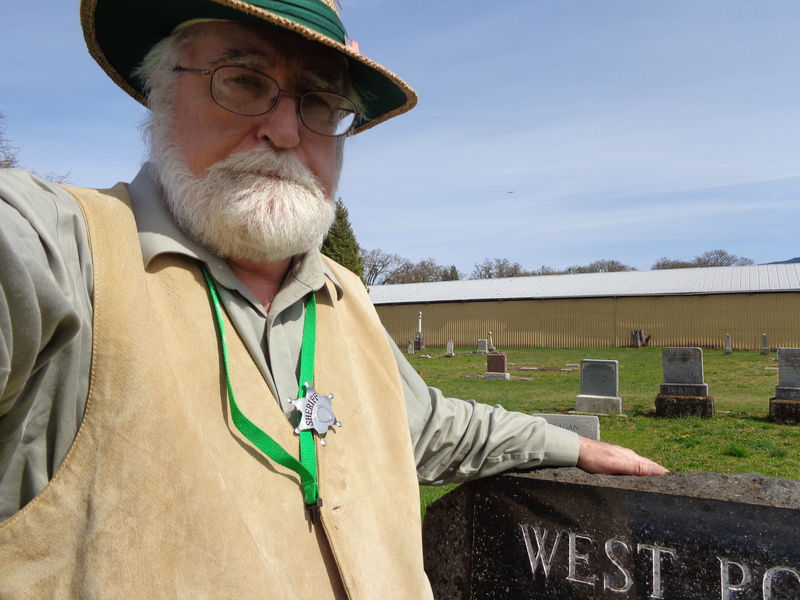 I am going to investigate, because, I am a reporter for Royal Rosamond Press, a newspaper registered in Lane County. I then walked into a antique store and asked the proprietor if she had a spindle for sale. She took me into the back room and showed me three spinning wheels that were once owned by an old woman who recently suffered from three strokes. I tried to get information about this woman, but, was not given her name. After seeing a incredible photo of her ancient mother, spinning, the Legend of Sleeping Beauty overcame me! Alas, I had found her, she not able to communicate after her strokes! In a comatose state, her dream is taken to an antique store, it all in pieces. I am upset, because her history is about to be lost! Did she live in that house that was being burned down? 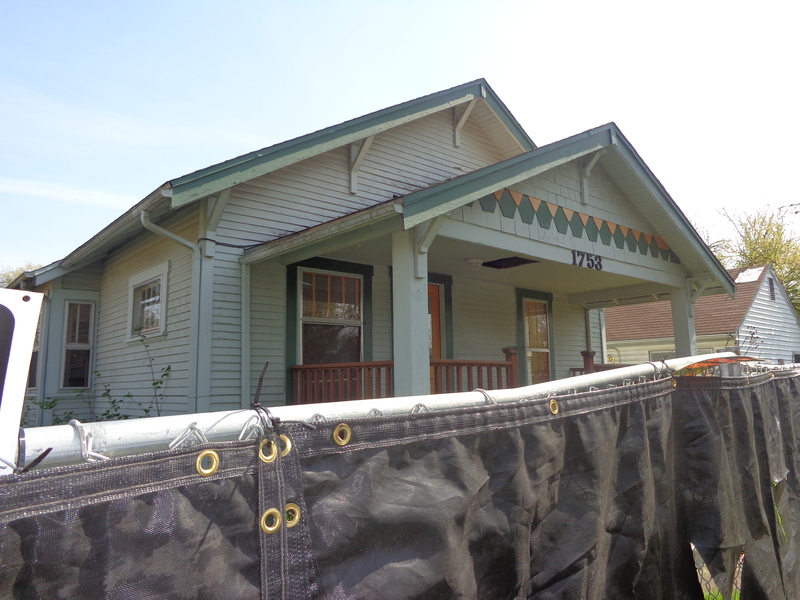 Did she know the Millers, and the Dreamer of Fairmount, the Lost City that is no more, it swallowed up in that ongoing disaster – Eugene City Planning? Sleeping Beauty was named, Rosamond, my mother’s maiden name. There is Fair Rosamond, and a Floral City by the sea. There is Belmont, a city cofounded by my great grandfather in California. 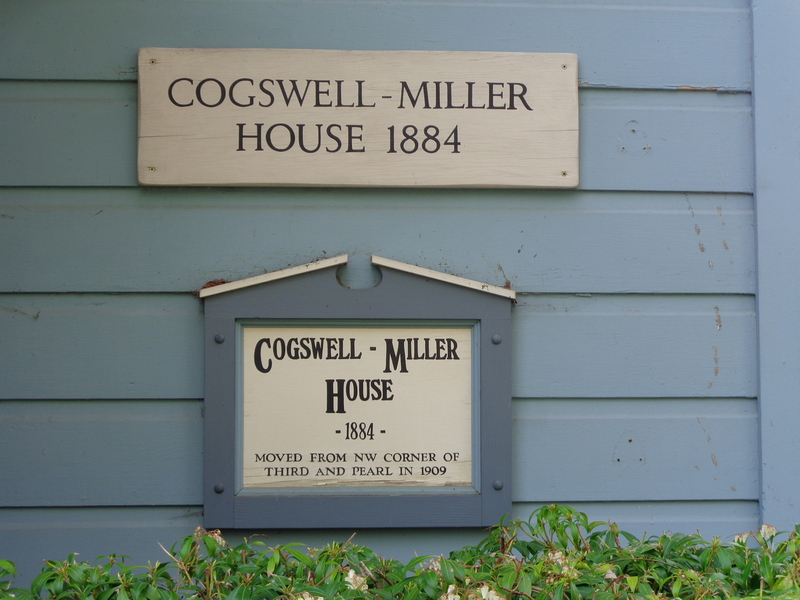 The Cogswell-Miller home in Eugene is surrounded by Rose Trees, Rhodadendrons! The next day I went to East face of Skinner Butte and looked at the two homes that are associated with John Cogswell and his family. John is the unsung Founding Father. Then I went to look at where Eugene built his log cabin. My late adopted son, Hollis Williams lived across the street in a unit reserved for Homeless Veterans. For fifteen years Hollis worked at Agra Pac, and could not get hired after it close down. H took me to a company picnic held in a park. Hollis was a Dreamer. This is why he was loved by many. He would crawl out from under a bridge where he slept many a cold night, and walk into Safeway, he all smiles, he already talking about his dream he wanted to belong to everyone. When it was certain he would be getting some Social Security money, he wanted to buy me some Disney Stock from a broker in the mall. He also wanted to invest in Doug Hennesy’s unfinished movie we were an extra in. Two months after Hud-Vash got him into a apartment, Hollis died. Being homeless for ten years was listed as one of the causes. It was Hollis who talked me into opening an account at Selco. I used to title H “The Real Mayor of Springfield” because he always knew your name, and greeted you with a smile. When I was in Selco last Thursday, I was greeted by the winning smile of Kate Young who had a table set up for the company she works for, Windemere Real Estate. I sat down and told he about my dream that was hatched in Brownsville the day before. She got onboard and furthered my inspiration down the road. When I learned Windemere has a foundation that helps the homeless, I suggested we meet again. You can see Kate’s video below, the last one. While filming at the Butte, a Veteran of the United States Air Force, came outside and was talking about the two eagles he just saw. They were flying in formation, side by side, then, one peeled off. 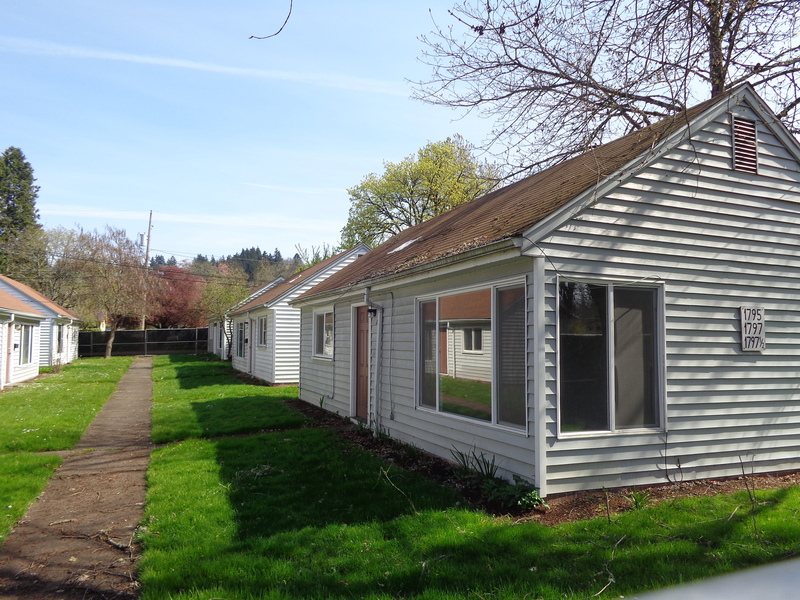 The Residential Architecture in Eugene Oregon, 1850 to 1950, Multiple Property Submission (MPS) was listed on the National Register of Historic Places in 2000. Portions of the text below were adapted from a copy of the original nomination document. [†] Adaptation copyright © 2011, The Gombach Group. 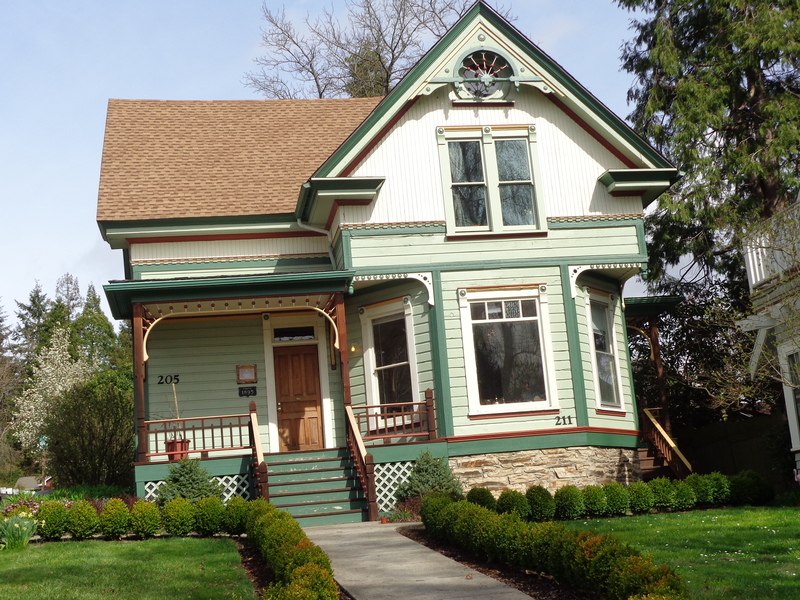 The Fairmount neighborhood in east Eugene had its beginnings as the Town of Fairmount, platted and dedicated by George Melvin Miller and Professor John Straub in 1890. Fairmount was officially incorporated in 1892. Named after Philadelphia’s Fairmount Park, it was envisioned as the ideal suburb to the University of Oregon and an instrumental link between Eugene and Springfield. Fairmount was annexed to the City of Eugene in 1904. The neighborhood is relatively large and diverse. It is situated between the University of Oregon and Agate Street on the west and the ridgeline of Judkins Point on the east. The north end of the neighborhood is bounded by the Willamette River; the south boundary is more irregular, reaching as far as East 27th Avenue in the southwest corner and winding its way along the contours to Henricks Park, which is included in the area, in the southeast corner. Subsequent additions to the large area designated by the original town of Fairmount plat included Fairmount Heights in 1910 and the First Addition to Fairmount Heights in 1925. Although there was development in the area during the 19th century, the vast majority of the houses were constructed between 1900 and about 1940. Some in-filling has occurred since that time. House sizes vary, ranging from comfortable small-family homes to large, elegant houses built for prominent Eugene families. Examples of many architectural styles can be found in the neighborhood although bungalows were by far the most popular, rivaled only by 20th Century Period Revival styles. Several houses in the Fairmount neighborhood were designed by local architects. The neighborhood’s proximity to the University of Oregon made Fairmount a desirable neighborhood for faculty and staff. Originally, Miller had hoped to locate the Siuslaw and Eastern Railway connection to the Southern Pacific line in Fairmount, but was unable to deliver. Rail transportation was established, however, when the University line of the street railway system was expanded into the Fairmount Loop, which made a wide circle through the neighborhood (a small section of track along Columbia Street has been preserved and is listed as a local landmark). This accessibility to the neighborhood, further enhanced by the early improvements of streets for automobile transportation, made it a desirable neighborhood for many professionals and merchant class families during the Motor Age. Development of businesses in the neighborhood was encouraged, although the neighborhood continued to be primarily residential. A few businesses were established in the neighborhood, located primarily along or near Franklin Boulevard. The neighborhood also included churches and schools. The Fairmount Presbyterian Church (the oldest extant church structure in Eugene), located on the corner of E. 15th and Villard, was constructed in 1895. The Fairmount Church of Christ, built in about 1930, was located on E. 17th Street. Condon School was constructed in 1909 for elementary students in the neighborhood. In 1924, Theodore Roosevelt Junior High School was built on Agate Street at East 18th Avenue. When Roosevelt School relocated to a new site, the building was converted to an elementary school and renamed Condon School (the original Condon School was demolished at that time). The building is now known as Agate Hall and is owned and used by the University of Oregon. The neighborhood is notable for its wide tree-lined streets and public parks. Villard Street is a 100-foot wide boulevard with a planting strip separating the lanes of traffic. In 1908, over 1000 trees were ordered for planting in the neighborhood. Lindens were planted on Columbia, horse chestnuts on Moss and Orchard, maples on Villard and Fairmount, and walnuts on Walnut. Elm trees were planted along Agate Street in 1909. Many of these trees survive today. In 1906, T.G. Hendricks donated ten (10) acres of land for a public park (what is now a portion of Hendricks Park). Washburne Park, originally the gardens and lawns of the Washburne residence, was donated to the city for use as a public park by Mrs. Carl Washburne. Commercial development along Franklin Boulevard has continued to chip away at the north edge of the neighborhood. As the University of Oregon expanded, it grew in an easterly direction, taking with it a portion of the historic neighborhood, a pattern of growth that continues to encroach on the historic fabric of Fairmount Although development pressure appears to be limited to these issues at present, the neighborhood’s proximity to the university makes it ripe for high-density development. There are only two houses in the neighborhood that are listed on the National Register. These are the Charles S. Williams House (1973 Garden Way) and the Howard Hall House (1991 Garden Way). 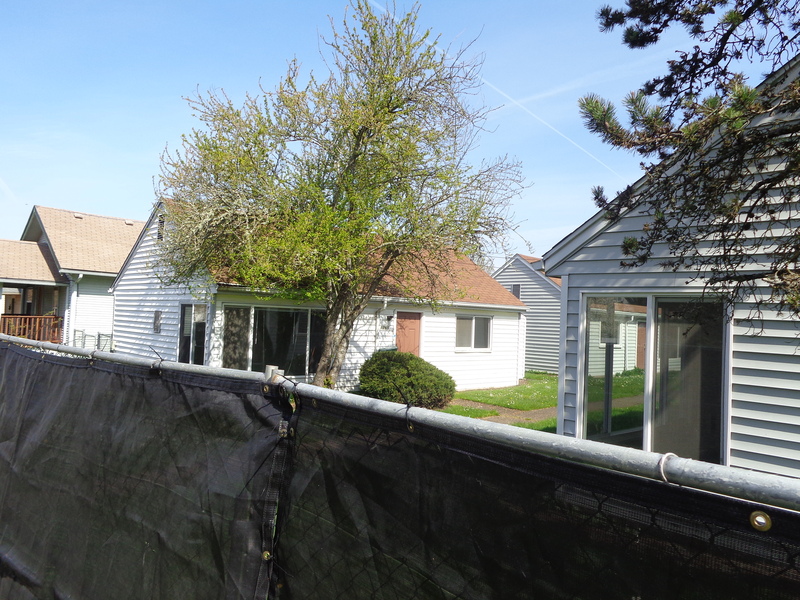 There are additional houses identified in the neighborhood that may be eligible for listing as individual resources. A portion of the neighborhood has also been identified as potentially eligible as a historic district. 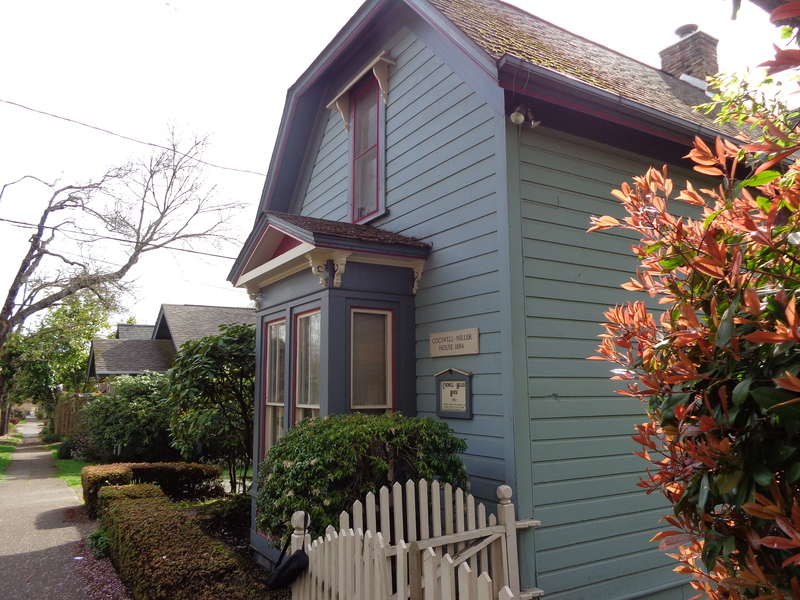 † Michelle L. Dennis, Historic Preservation Consultant, Residential Architecture in Eugene Oregon, 1850 to 1950, nomination document, 2000, National Park Service, National Register of Historic Places, Washington, D.C. In the 1950s, ranchers in harsh northern Nevada imagined a straight-shot drive to the California redwoods, where trees soared to the clouds and the ocean mist cooled the air. But the route hadn’t been fully paved. Hopeful minds went to work, and many handshakes later the Winnemucca to the Sea Highway was born. The 494-mile-long ribbon of blacktop never gained the acclaim its boosters imagined, but today, on two-lane roads, the route links a handful of colorful towns in Nevada’s Great Basin to the wineries and mountain resorts of Oregon and the rugged California coast. The trip can take a couple of days—or a couple of weeks. The highway begins at a bend in the Humboldt River, where the town of Winnemucca, Nev., has bloomed on the site of an early wagon train camp. A hundred years ago, Basque sheepherders migrated here to work in the nearby hills. In wintertime they took lodging at the 1898 Martin Hotel, gathering in the big dining room for meals. Today the menu remains the same, from starters of rich soup and tangy salad to plates of sweetbreads, lamb, and rib eye—all washed down with carafes of simple wine. The road’s longest segment came to be labeled Highway 140, and that’s where, north of Winnemucca, you turn west from U.S. 95, and the hum of traffic fades as you cruise into the Quinn River Valley and its framing mountain vistas. It is land suitable for Zane Grey or the Lone Ranger—vast and silent beneath eggshell skies. As you cross into Oregon, the Denio Junction appears in a cottonwood oasis. Stop for a burger and fries; it will be some time before you see a restaurant again. Soon the road enters the Sheldon National Wildlife Refuge and climbs a rise near a deep crack in the earth called Thousand Creek Gorge. Hike to the rim, and you can stomach-crawl on sun-warmed rock to peer down at the sinuous creek. Nearby lie the Dufurrena Ponds, where sandhill cranes and other migrating birds feed and anglers catch largemouth bass. Rocks near here yield fire opals; at the Royal Peacock mine, May 15 through fall, you can dig for your own sparkling cache. “Sage-brush is very fair fuel,” wrote Mark Twain in his memorable chronicle Roughing It, “but as a vegetable it is a distinguished failure.” The pronghorn antelope of Sheldon Refuge would disagree. They find plenty of sagebrush to eat on the 900-square-mile spread. From a distance, the tawny ungulates resemble white-tailed deer—until they run. Springing across the plains on slender legs, they can sprint 40 miles per hour. Pronghorn share the terrain with wild mustangs, burros, and bighorn sheep, whose hoof marks pock the site’s side roads. Lucky travelers might spot a herd of big-horn scrambling across the highway near Adel, Ore., east of Lakeview. Adel is even smaller than Denio, but its combined store, saloon, and café is large in atmosphere. Duck inside to see vintage saddles dangling like chandeliers and to get a close look at taxidermy mounts of animals that roam the region. Farther into Oregon, big animals give way to big mountains. West of pretty Upper Klamath Lake, the volcanic summit of Mount McLoughlin looms over the southern Cascade Range. Here you can disappear among fir trees on the 9.3 mile High Lakes Trail, wide enough to accommodate wheelchairs. Both the High Lakes Trail and the highway pass rustic Lake of the Woods. Come the warm months, you can rent a canoe or kayak—or a cabin. Farther west, the road drops into the Rogue River Valley, where the city of Medford anchors a landscape of rolling hills and tabletop bluffs. Stop by the Rogue Creamery and the fruit store Harry &amp; David, or sip luscious syrah and claret at the locals’ hot spot, RoxyAnn Winery, set inside Hillcrest Orchard. 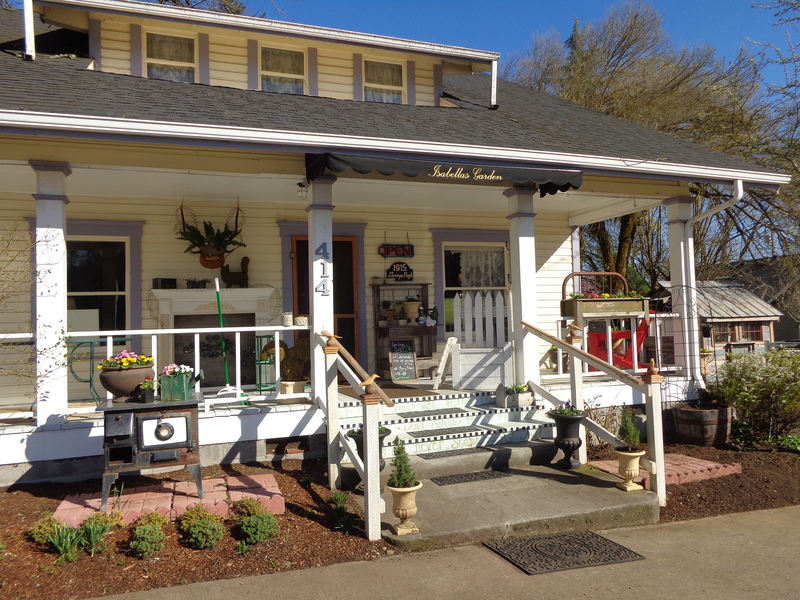 As the Winnemucca highway joins Interstate 5 it climbs into Grants Pass, a home base for kayak trips on the Rogue River or visits to the Glass Forge, where artists craft whimsical vases. When the route veers onto Highway 199, you’re nearing redwood heaven. But don’t hurry on. Detour at Cave Junction to Oregon Caves National Monument. While prowling the twisting tunnels, you’ll encounter a minuscule life-form—the white springtail. In a feat as marvelous as the pronghorn’s sprint, the insect catapults itself many times its body length by vaulting off its tiny, folded tail. In Gasquet, Calif., grab a strawberry milk shake at She-She’s Cafe, then head west into the muscular beauty of the sky-bound conifers in Jedediah Smith Redwoods State Park. Stout Memorial Grove—a 40-acre cathedral of furrowed trunks and waist-high ferns—towers over the meandering Smith River. It’s just a few miles to Crescent City, where the Pacific unrolls its silvery waves onto amber sand. But the journey’s not over until you’ve had a good meal. At the unpretentious Seascape Restaurant in Trinidad, an easy hour down the coast, you’ll find that the plate of Winnemucca lamb is rivaled by heaps of sautéed scallops, oysters, and shrimp—a mouthwatering gift from the sea. For information about various stops along the route, go to Winnemuccca to the Sea Highlights. Fairmount Fairmount is named after Philadelphia’s “Fairmount Park” and was part of the dairy farm of William and Nancy Smith, who established their Donation Land Claim in 1853. By 1889, William Smith began negotiating the sale of 400 acres of his land. In 1890 George Melvin Miller and Professor John Straub purchased 415 acres for the sum of $39,000. On November 4, 1890, the town of Fairmount was platted and dedicated. George Melvin Miller was born near Coburg in 1853. He studied law under Judge Joshua J. Walton and set up a law practice in Eugene and served as the deputy district attorney in 1882-83. 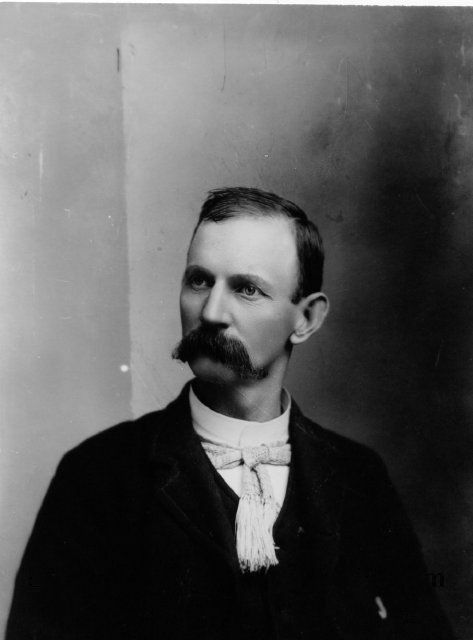 He platted the town of Florence in 1887 and was a great promoter of highways, which included Route 126, the main road between Eugene and Florence. Miller envisioned Fairmount as the perfect location for the Lane County seat because of its central location between Springfield and Eugene. Lots began to sell in 1891 and the first post office was established. Fairmount was incorporated in 1892 and Miller launched an aggressive publicity campaign to sell additional lots. By 1894 Miller had concluded his involvement in Fairmount. Condon School was constructed in 1924 and continues in educational use for the University of Oregon as Agate Hall. In 1925 Fairmount Heights was platted and extensive street paving was done to open the area for residential development. Fairmount was annexed to the City of Eugene in 1905. In 1906, T.G. Hendricks donated ten acres of land for a public park, now established as Hendricks Park. By 1907 houses were given street numbers, streetlights, sidewalks and graded streets. In 1907 the streetcar barns for the Eugene trolley were constructed along Franklin and the Fairmount Loop streetcar connected the neighborhood to the Masonic Cemetery, University of Oregon and downtown. Commercial businesses included a sash and door factory, planing mill and furniture factory, a brick yard, two florists and a greenhouse complex, Williams Bakery, two grocery stores and a butcher shop along with filling stations and car lots along Franklin. Following World War II the timber industry of Lane County exceeded agricultural production. New construction was at an all time high and nearly 300 new residences were constructed between 1948 and 1949. In 1950 the Ferry Street Bridge was rebuilt and road improvements were made to Franklin Boulevard, which still remains the major arterial between Eugene and Springfield and an important exit from Interstate 5.